Strangeface are delighted to be holding a residency at Grosvenor and Hilbert Park in the Hub for Families, for 13-19 year olds and for all! The company, who have performed at Trinity Theatre and with CREATE in Camden Road, will be offering 3 activities across the week in the Hub and they are all absolutely free! Call in to use simple familiar materials to design and make a puppet and create your own stories. Suitable for all! Suitable for 13-19 year olds. This 2 day course will give participants an opportunity to work with Artistic Director Russell Dean to understand mechanisms, design and make a puppet using household materials that can be easily bought in the future. The group will also develop their skills to bring the puppets to life looking at focus, breath and balance. To book a free place on this course use the Eventbrite link here. 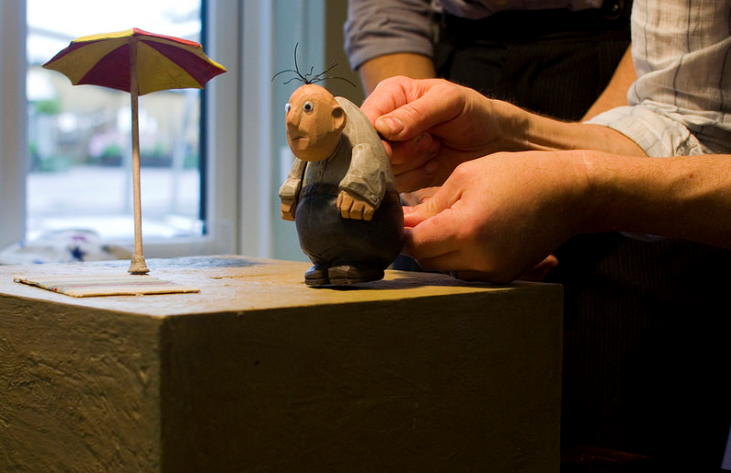 Strangeface will be performing their own table top show about Arnold – a small puppet whose walk becomes an adventure. Played for 6 audience members at a time this tiny tale takes 10 minutes and uses headphones like a Silent Disco! This show was made for Family Arts Festival and is suitable for all. Audience Members said “I want to see it again!! !”, “Superb Imagination” and “Excellent!” – you can come along to watch without booking, the performers will run shows during the advertised times and you can lie back on a lilo if you need to wait!